The next Bristol reading group session will be on Sunday 30th May at 6pm in Café Kino on Ninetree Hill, Stokes Croft, Bristol. The latest issue of The Commune featured a supplement with an extended piece on workers’ councils by Sheila Cohen. Click image below to see PDF or read full text below. For our latest pamphlet we have reprinted a seventy-year old pamphlet on the workers’ council movement produced by the Dutch GIK (Group of International Communists) accompanied by the autobiography of leading GIK member Jan Appel (a participant in the revolution and the commandeering of a ship) along with a chronology of the German revolution. Printed copies cost £1 each – email uncaptiveminds@gmail.com or write to The Commune, 2nd Floor, 145-157 St John Street, London EC1V 4PY. today we have added three more links to the ‘ideas‘ page of the commune. the ‘dictatorship of the proletariat’ in marx and engels, by hal draper, explains how marx and engels used the term ‘dictatorship of the proletariat’ not to mean a specific form of government but rather to denote the class rule of the working class once it has overthrown the bourgeoisie. in this vein draper attacks the understanding of the term elaborated by plekhanov, who proclaimed “when we come to power, we will allow no freedom for anyone but ourselves”. anton pannekoek’s world revolution and communist tactics, written for an organ of the comintern in 1920, effectively combats statist visions of working-class power and bureaucracy in the workers’ movement, and looks at the new organisational forms workers must use to re-shape society: “the formation by the workers of the soviets, their own organs of power and action, in itself signifies the disintegration and dissolution of the state. as a much more recent form of organisation and one created by the proletariat itself, the trade union will survive much longer, because it has its roots in a much more living tradition of personal experience, and once it has shaken off state-democratic illusions, will therefore claim a place in the conceptual world of the proletariat. 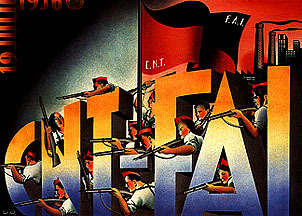 but since the trade unions have emerged from the proletariat itself, as products of its own creative activity, it is in this field that we shall see the most new formations as continual attempts to adapt to new conditions; following the process of revolution, new forms of struggle and organisation will be built on the model of the soviets in a process of constant transformation and development”. ubu saved from drowning: worker insurgency and statist containment in portugal and spain 1974-77, by loren goldner, is of particular interest in that focuses on the struggles of the portuguese working class rather than merely the history of the sects that aspired to lead it (much like mailer’s the impossible revolution). the fact that the portuguese revolution represented the end of an era of class struggle rather than the beginning of a new one, and that the onward march of state capitalism had also petered out by the end of the 1970s, by no means devalues the lessons of the portuguese revolutionary crisis, which saw mass working-class mobilisation, factory expropriations and efforts at workers’ self-management.